Eigenvalues and Eigenvectors of a real matrix – Characteristic equation – Properties of eigenvalues and eigenvectors – Statement and applications of Cayley – Hamilton Theorem – Diagonalization of matrices – Reduction of a quadratic form to canonical form by orthogonal transformation – Nature of quadratic forms. Gradient and directional derivative – Divergence and Curl – Vector Identities – Irrotational and solenoidal vector fields – Line integral over a plane curve – Surface integral – Area of a curved surface – Volume integral – Green’s theorem in a plane, Gauss divergence theorem and Stokes’ theorem (excluding proofs) – Verification and application in evaluating line, surface and volume integrals. Analytic functions – Necessary and sufficient conditions for analyticity in Cartesian and polar coordinates – Properties – Harmonic conjugate – Construction of analytic functions – Conformal mapping : w = z + c, cz, 1/z, z2 and bilinear transformation. Line integral – Cauchy’s integral theorem and Cauchy’s integral formula – Taylor and Laurent’s series expansions – Singular points – Residues – Cauchy’s Residue theorem – Application of Residue theorem for Evaluation of real integrals – Use of circular contour and semicircular contour. Existence conditions – Transform of elementary functions – Transform of unit step function and unit impulse function – Basic properties – Shifting theorems – Transform of derivatives and integrals – Initial and final value thorems - Inverse Laplace transform – Statement of Convolution theorem – Transforms of periodic functions – Application to solution of linear ODE of second order with constant coefficients. 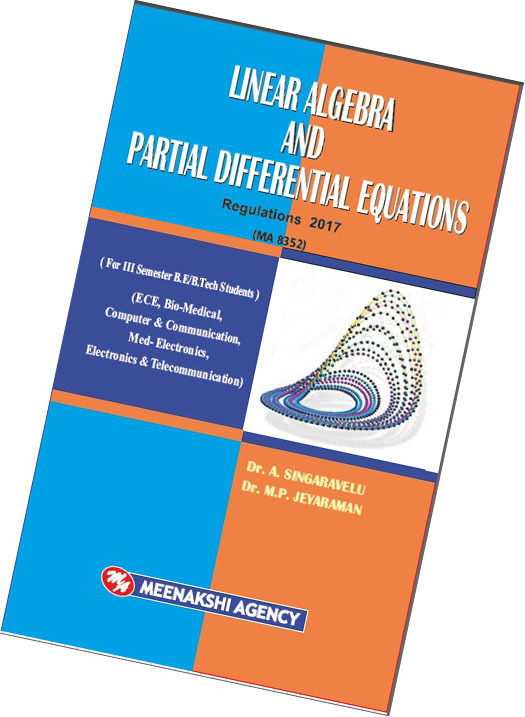 Formation of partial differential equations – Singular integrals – Solution of standard types of first order partial differential equations – Lagrange’s linear equation – Linear partial differential equations of the second and higher order with constant coefficients of both homogeneous and non-homogeneous types. Classification of PDE – Method of separation of variable – Solutions of one dimensional wave equation – One dimensional heat conduction – Steady state solution of two dimensional equation of heat conduction (excluding insulated edges). Statement of Fourier integral theorem – Fourier transform pair – Sine and Cosine transforms – Properties – Transforms of simple functions – Convolution theorem – Parseval’s identity. Z-Transform – Elementary properties – Inverse Z-Transform (using partial fraction and residues) – Convolution theorem – Formation of difference equations – Solution of difference equations using Z-Transform. Probability – Axioms of probability – Conditional probability – Baye‘s theorem - Discrete and continuous random variables – Moments - Moment generating functions – Binomial, Poisson, Geometric, Uniform, Exponential, Gamma and Normal distributions. Joint distributions - Marginal and conditional distributions – Covariance - Correlation and Linear Regression - Transformation of random variables – Central limit theorem (for independent and identically distributed random variables). 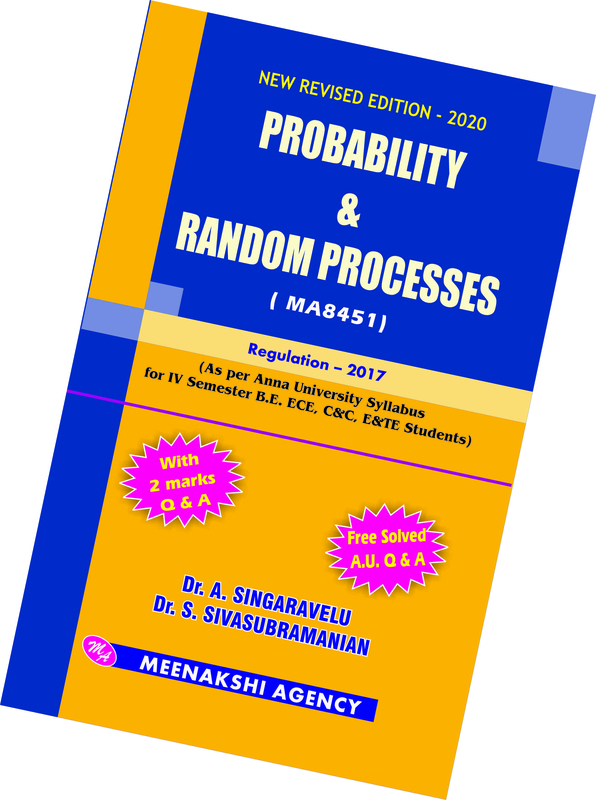 Classification – Stationary process – Markov process – Markov Chain - Poisson process – Random telegraph process. Auto correlation functions - Cross correlation functions - Properties – Power spectral density – Cross spectral density - Properties. Linear time invariant system - System transfer function – Linear systems with random inputs – Auto correlation and cross correlation functions of input and output. Classification – Stationary process – Markov process –Poisson process – Discrete parameter Markov chain – Chapman Kolmogorov equations – Limiting distributions. Markovian queues – Birth and Death processes – Single and multiple server queueing models – Little’s formula – Queues with finite waiting rooms – Queues with impatient customers: Balking and reneging. 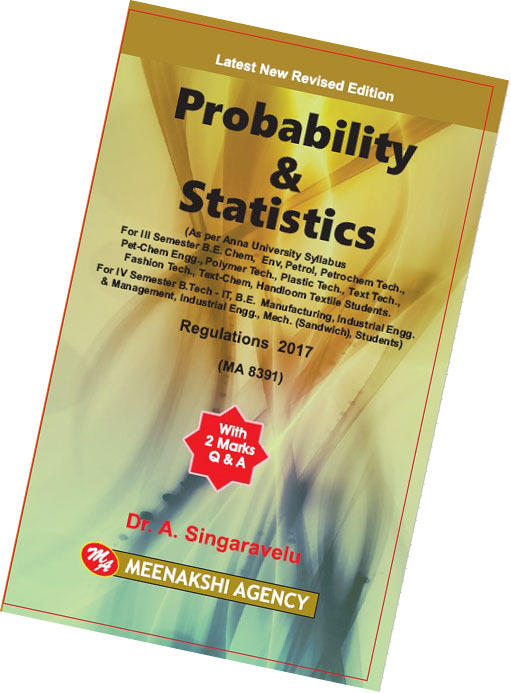 Probability – The axioms of probability – Conditional probability – Discrete and continuous random variables – Moments - Moment generating functions – Binomial, Poisson, Geometric, Uniform, Exponential, Gamma and Normal distributions. Sampling distributions – Estimation of parameters – Statistical hypothesis – Large sample test based on Normal distribution for single mean and difference of means – Test based on t, Chi – square and F distributions for mean, variance and proportion – Contingency table (test for independent) – Goodness of fit. One way and Two way classifications - Completely randomized design - Randomized block design – Latin square design – 22 factorial design. Control charts for measurements (X and R charts) - Control charts for attributes (p, c and np charts) – Tolerance limits – Acceptance sampling. Solution of algebraic and transcendental equations – Fixed point iteration method – Newton Raphson method – Solution of linear system of equations – Gauss elimination method – Pivoting - Gauss Jordan method – Iterative methods of Gauss Jacobi and Gauss Seidel – Eigenvalues of a matrix by Power method and Jacobi’s method for symmetric matrices. Interpolation with unequal intervals – Lagrange’s interpolation – Newton’s divided difference interpolation – Cubic Splines – Difference operators and relations - Interpolation with equal intervals – Newton’s forward and backward difference formulae. Approximation of derivatives using interpolation polynomials – Numerical integration using Trapezoidal, Simpson’s 1/3 rule – Romberg’s method – Two point and three point Gaussian quadrature formulae – Evaluation of double integrals by Trapezoidal and Simpson’s 1/3 rules. 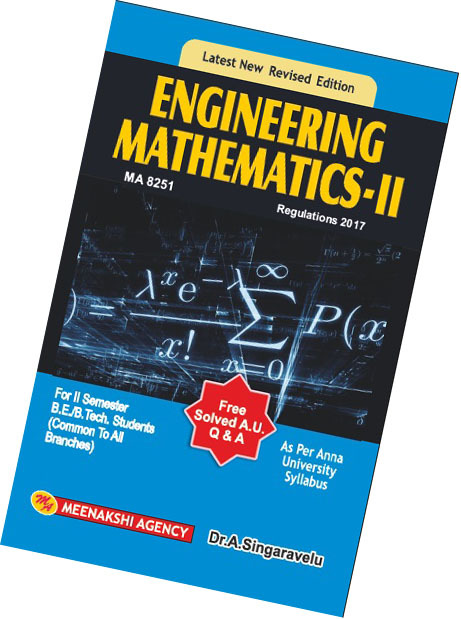 Single Step methods – Taylor’s series method – Euler’s method – Modified Euler’s method – Fourth order Runge-Kutta method for solving first order equations – Multi step methods – Milne’s and Adams-Bash forth predictor corrector methods for solving first order equations. Finite difference methods for solving second order two - point linear boundary value problems – Finite difference techniques for the solution of two dimensional Laplace’s and Poisson’s equations on rectangular domain – One dimensional heat flow equation by explicit and implicit (Crank Nicholson) methods – One dimensional wave equation by explicit method. Sampling distributions - Estimation of parameters - Statistical hypothesis - Large sample test based on Normal distribution for single mean and difference of means – Tests based on t, Chi-square and F distributions for mean, variance and proportion – contingency table (Test for Independent) – Goodness of fit. One way and two way classifications – Completely randomized design – Randomized block design – Latin square design – 22 factorial design. Solution of algebraic and transcendental equations - Fixed point iteration method – Newton Raphson method – Solution of linear system of equations - Gauss elimination method – Pivoting –Gauss Jordan methods – Iterative methods of Gauss Jacobi and Gauss Seidel – Eigen values of a matrix by power method and Jacobi’s method for symmetric matrices. Lagrange’s and Newton’s divided difference interpolations – Newton’s forward and backward difference interpolation – Approximation of derivates using interpolation polynomials – Numerical single and double integrations using Trapezoidal and Simpson’s 1/3 rule. 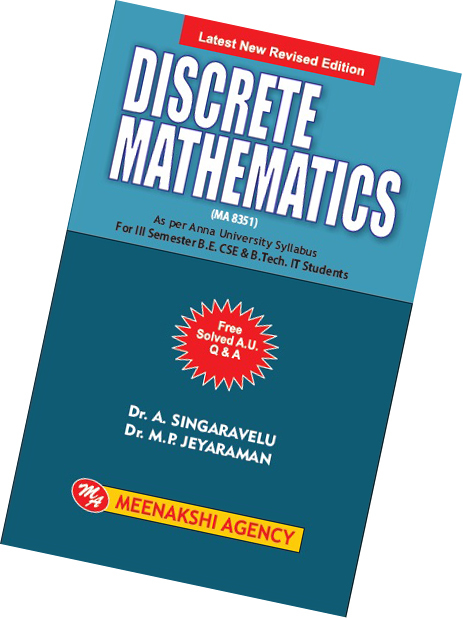 Single step methods: Taylor’s series method – Euler’s method – Modified Euler’s method – Fourth Order Runge-Kutta method for solving first order equations – Multi step methods: Milne’s predictor corrector methods for solving first order equations – Finite difference methods for solving second order equations. Propositional Logic – Propositional equivalences-Predicates and quantifiers – Nested Quantifiers – Rules of inference – introduction to Proofs-Proof Methods and strategy. Mathematical inductions-Strong induction and well ordering – The basics of counting – The pigeonhole principle –Permutations and combinations – Recurrence relations – Solving Linear recurrence relations – generating functions – inclusion and exclusion and applications. 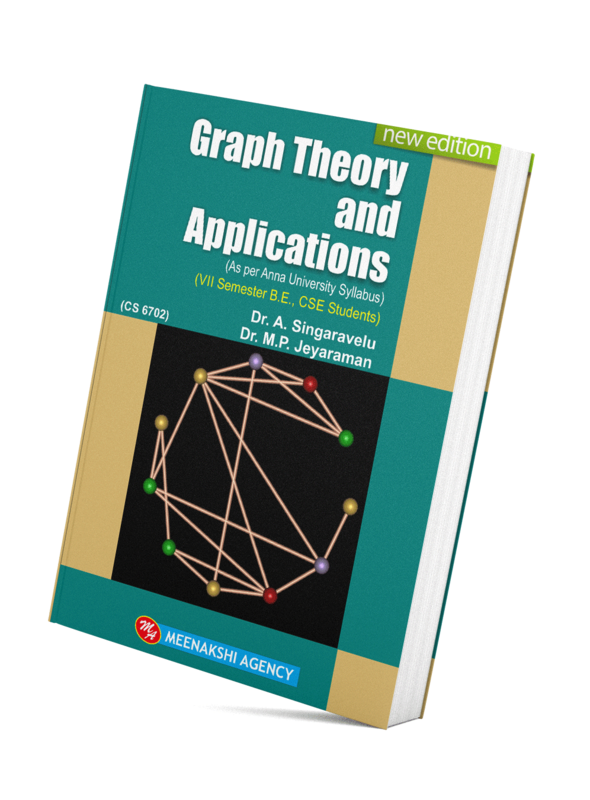 Graphs and graph models-Graph terminology and special types of graphs – Representing graphs and graph isomorphism –connectivity – Euler and Hamilton paths. Algebraic systems-Semi groups and monoids – Groups – Subgroups and homomorphisms – Cosets and Lagrange’s theorem – Ring & Fields (Definitions and examples). Partial ordering – Posets – Lattices as Posets – Properties of lattices – Lattices as Algebraic systems – Sub lattices – direct product and Homomorphism – Some Special lattices – Boolean Algebra. Graphs – Introduction – Isomorphism – Sub graphs – Walks, Paths, Circuits – Connectedness – Components – Euler graphs – Hamiltonian paths and circuits – Trees – Properties of trees – Distance and centers in tree – Rooted and binary trees. Spanning trees – Fundamental Circuits – Spanning trees in a weighted graph – Cut sets – Properties of cut set – All cut sets – Fundamental circuits and cut sets – Connectivity and separability – Network flows – 1-Isomorphism – 2-Isomorphism – Combinational and geometric graphs – Planer graphs – Different representation of a planar graph. 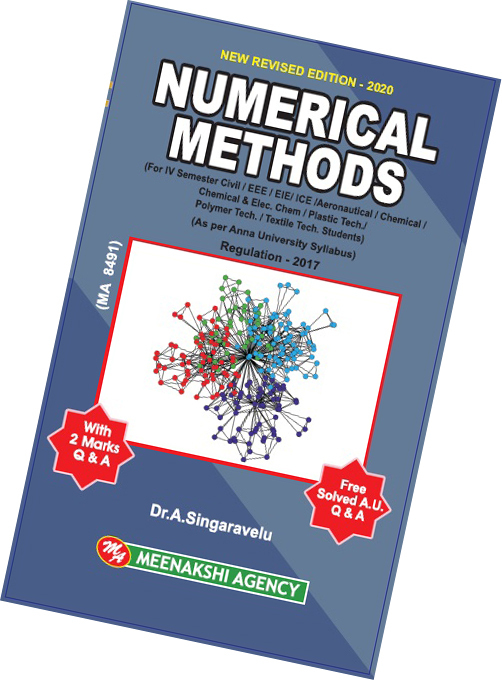 Chromatic number – Chromatic partitioning – Chromatic polynomial – Matching – Covering – Four colour problem – Directed graphs – Types of directed graphs – Digraphs and binary relations – Directed paths and connectedness – Euler graphs. Fundamental principles of counting – Permutations and combinations – Binomial theorem – Combinations with repetition – Combinational numbers – Principle of Inclusion and Exclusion – Derangements – Arrangements with forbidden positions. Generating functions – Partitions of Integers – Exponential generating function – Summation operator – Recurrence relations – First order and second order – Non-homogeneous recurrence relations – Method of generating functions. Vector spaces – Subspaces – Linear combinations and linear system of equations – Linear independence and linear dependence – Bases and dimensions. 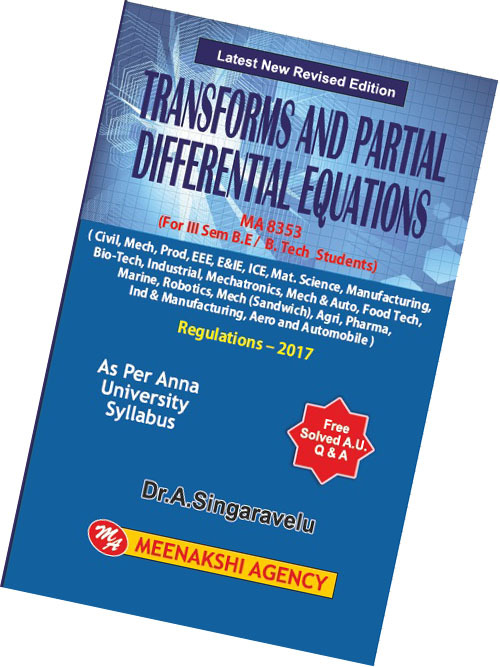 Linear transformation - Null spaces and ranges - Dimension theorem - Matrix representation of a linear transformations - Eigenvalues and eigenvectors - Diagonalizability. Inner product, norms - Gram Schmidt orthogonalization process - Adjoint of linear operations - Least square approximation. Formation - Solutions of first order equations - Standard types and equations reducible to standard types - Singular solutions - Lagrange‘s linear equation - Integral surface passing through a given curve - Classification of partial differential equations - Solution of linear equations of higher order with constant coefficients – Linear non-homogeneous partial differential equations. Dirichlet‘s conditions - General Fourier series - Half range sine and cosine series - Method of separation of variables - Solutions of one dimensional wave equation and one - dimensional heat equation - Steady state solution of two-dimensional heat equation - Fourier series solutions in Cartesian coordinates.